If you have a motorcycle, our motorcycle insurance policies will help you be prepared for any eventuality. Many people enjoy the thrill of riding a motorcycle. Whether you use your motorcycle as a convenient means of solo transportation or whether you use it purely for recreation, it’s important to take all the necessary safety measures to protect yourself while on (or off) the road. At Curtis Helms Insurance, we know that a critical part of motorcycle safety is having the right insurance plan. Just like driving a car, riding a motorcycle comes with certain risks, and even the safest of motorcyclists can’t predict every possible danger. Motorcycle insurance provides a vital safety net in the event that you experience an accident. 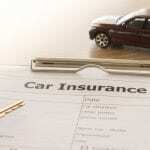 Motorcycle insurance typically covers the same circumstances that car insurance does. These circumstances include collision coverage, which applies to damage to your motorcycle resulting from a collision with another vehicle; comprehensive coverage, which applies to all damage to your motorcycle from sources other than a collision, such as falling debris in a storm; and liability insurance, which applies to any damage for which you are at fault, including property damage and personal injury. Some motorcycle insurance policies can also offer coverage for any custom motorcycle parts–if your bike is highly personalized, you might want to consider this type of coverage in case any non-standard parts need to be replaced. We at Curtis Helms Insurance are proud to serve the Charlotte, North Carolina community and want to help you stay safe while riding your motorcycle. If you have a motorcycle or are considering purchasing one, call our team today to learn more about our motorcycle insurance options.